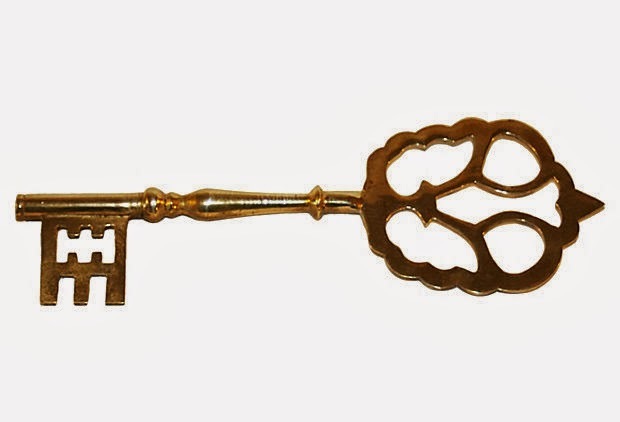 See this brass skeleton key? Well, I found this at the flea market last Saturday when I attended the Atlanta area bloggers quarterly meeting. The meeting was held at a local flea market and after the meeting was over we browsed the booths. I had gone all through the store and didn't really see anything that jumped out at me. Then in the last few minutes I decided to just casually browse some of the booths again that were close to the check out counter. Then I saw it. 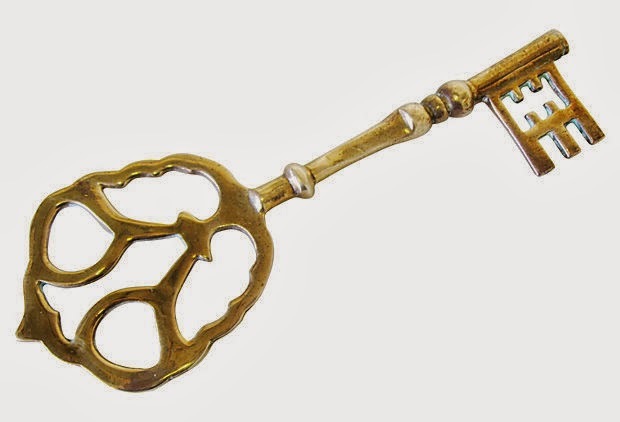 This big beautiful brass skeleton key. Now, this did jump out at me and even jumped into my hand. And this one is $89 on One Kings Lane. Both keys are large like the one I found and sold in their vintage market finds. It was so funny seeing these on their site a week after I found one. and a couple of my magnifying glasses and this deer shed found on our property years ago. The best thing about my big brass skeleton key is I didn't pay $99 or $89. Nope, I paid no where near those prices. I didn't even pay $20 or $10. Want to know what I paid? surprised how much it was. So sometimes it pays to go through the store once and then maybe make a pass back through again. You just never know what you might have overlooked. If you are interested in paying $89 or $99 for one they are still available on One Kings Lane. We're off to see my beautiful niece get married this afternoon. I love it Kim and you can't beat the price!! I love it. I love great bargains like that too! $3????!!!!! Holy moly that is a bargain!! Awesome deal and great looking key!! Now that was a bargain for sure! Enjoy the wedding. Of course, YOU would find a great bargain. I liked the idea of an Atlanta bloggers group. I wonder if there is a group in the Los Angeles area? Very cool find Kim. Funny, but right now I'm really into brass. It looks so rich when it's aged. But 3 bucks? Come on, are you trying to torture us bargain hunters? What a STEAL!!! I love it too! What a great bargain at $3 bucks. It looks great in your vignette. Nice and what a deal..... I love to find extra special things like that and at a great deal.....Have agreat week. Blessings! Now that is what I call a bargain! Have a wonderful time at the wedding! That sure is a great find Kim and wow what a bargain! What a great deal! It was meant to go home with you at that price and is a nice conversation piece in your pretty basket tray vignette. That is a great find Kim! I sometimes wonder who pays those crazy prices for the vintage items on those sites. Great looking piece and unbelievable price. Way to go, Kim! Love great finds like that!! Hi, Kim! Great buy! Can you share with those of us who live in Atlanta, the locale of said flea market? Heather, it was City Antiques in Roswell. Thanks, Kim! Definitely headed there this weekend!! Yep…that was quite a "steal of a deal" as it was practically free…seriously, three bucks!…It pays to make another round…looks great in the basket of treasures! That's my kind of Bargain too!!!! A perfect addition to your vignette Kim, it was meant to be! Oooh, I love a bargain, and that is an amazing one! I like it better than the ones you saw on One Kings Lane! Debbie, it is City Antiques on Holcombe Bridge Rd. in Roswell.